Achieving your life dreams is an ongoing process. To reach your ideal destination, you must first determine where you are today. Then, you can plan to achieve what matters most by charting your course, setting your compass, and navigating the future. 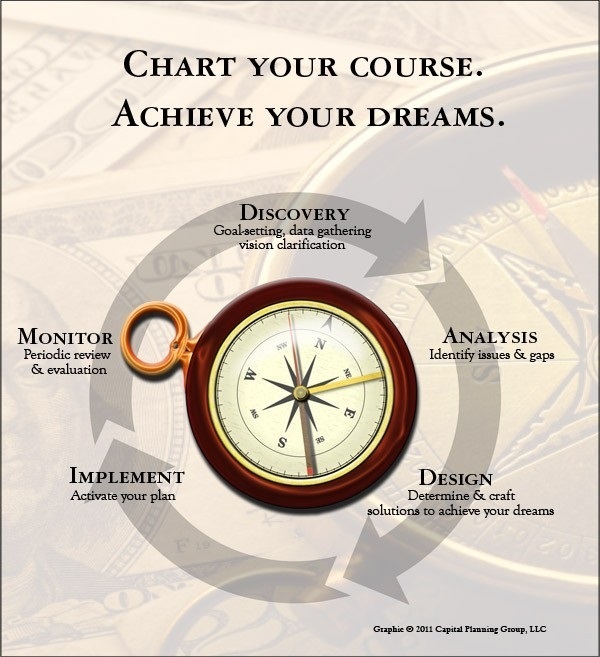 Our planning process is designed to help you chart your course and stay on track.